Flatulence is a common gastric problem faced by men and women. It is a common problem in people who eat spicy food and lead a sedentary life. Flatulence refers to the formation of gas in the stomach which may cause distension of the abdomen. The main cause of flatulence is faulty eating habits and lack of exercise. People who do not eat healthy and nutritious foods often suffer from gas problems. Lifestyle is one of the main factors for producing such conditions. It is a not a disease but is an associated symptom of other gastric disorders. Flatulence results when there is incomplete metabolism of the food. Food reaches the intestine in an undigested state and it may be acted upon by other bacteria to produce gas. There is continuous pain in the region of the abdomen. Heaviness and pressure is felt in the abdominal region. Tightness of the chest due to accumulation of the gas. There is distension of the abdomen due to gas formation. Reduced appetite and person does not want to eat anything on account of full stomach. Pain in the back or shoulder region due to gas formation. Person becomes restless due to accumulation of gas. People having flatulence may have headache and vertigo. There is large number of flatulence natural remedies that greatly helps to give relief from flatulence. Natural remedies have been used traditionally for normal functioning of the digestive organs. Natural treatment for flatulence helps in getting rid of flatulence naturally without producing any side effects. Flatulence natural remedies are safe and effective and do not produce any adverse effects on other parts of the body. Natural treatment of flatulence helps to correct the imbalances and boost up the digestive organs to function normally. 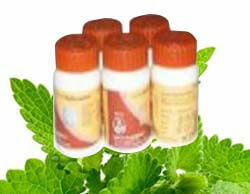 Divya Gashar Churna: This is a combination of different herbal remedies for the natural treatment of flatulence. Herbal remedies found in this natural churna are effective to produce proper digestion of the food. It helps to increase the appetite and gives quick relief from the symptoms of flatulence. Natural herbs found in this churna support the normal functioning of the digestive organs. Divya Udarakalpa Churna: This is another useful remedy for the treatment of flatulence. All the herbal remedies in this churna are traditionally believed to stimulate the stomach and intestinal lining for proper digestion of the food. It gives immediate relief from flatulence and person feels light and happy. It reduces pain in the abdomen and increased appetite. Therefore, a person suffering from flatulence should take these herbal remedies for the treatment of flatulence. Herbal remedies are safe and do not produce any side effects. Many people do not know that they swallow more air than required. People who swallow more air suffer from flatulence. It happens in people who do excessive smoking, drink carbonated beverages, eating too fast and from chewing gum. Another important cause of flatulence is dietary habits. Some foods are difficult to be absorbed and they pass undigested to the large intestine. The bacteria present in the large intestine acts upon the undigested food and produce gas. Some of the foods that may cause flatulence include cabbage, raisins, lentils, prunes, apples and beans. It takes a long time to digest this food and may produce unpleasant smell. Fruit juices can also produce flatulence. There are certain health problems that may produce flatulence as a symptom. Some of the gastric problems that lead to flatulence include constipation, lactose intolerance, irritable bowel syndrome and celiac disease. Many people do not take proper sleep and eat late at night. This may also cause indigestion and flatulence. Lack of exercise and sedentary habits is another important cause of belching and gas formation. People who are involved in desk jobs do not find time for doing exercise which causes digestive problems. Stress and anxiety is another psychological cause of flatulence. Stress slows down the process of digestion and produce digestive disorders and flatulence is one of the main symptoms accompanying the other digestive problems. Take one teaspoon of garlic and ginger juice and mix in one glass of lukewarm water. Drink this water whenever you have flatulence. It gives quick relief from the flatulence. Asafoetida is another important remedy for getting relief from flatulence. Take one teaspoon of asafoetida powder with warm water to get relief from flatulence. Asafoetida is also good for digestion. Take one teaspoon of turmeric powder and put a pinch of salt to this powder. Add this to a glass of lukewarm water and drink it to get quick relief from flatulence and digestive disorders. Take small pieces of ginger and sprinkle some lemon juice on them and put table salt on it. Eat one or two pieces everyday with food for proper digestion of the food. Sugarcane juice is also good for getting relief from flatulence. Put juice of one lemon into the sugarcane juice to get effective results. Honey mixed with one tea spoon of oil also gives good results for people suffering from flatulence. It should be taken with warm water to get quick results. Take some pieces of green turmeric and sprinkle lemon juice on them with rock salt. Eat one or two piece of turmeric to get excellent results for people suffering from flatulence. Healthy lifestyle and exercise greatly helps in preventing the formation of gas and leads to proper digestion of the food.